Aims and Scope : CFD Letters publishes as rapidly as possible manuscripts of high quality which addresses eminent topics of computational fluid dynamics theory and applications. 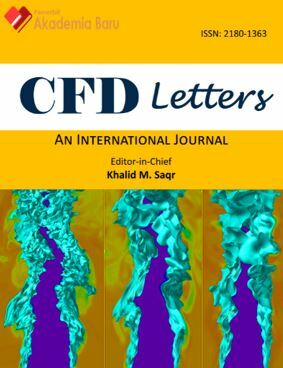 Being an international, peer-reviewed, online and open access journal, CFD Letters presents a world-wide forum for the dissemination of knowledge among engineers, scientists and mathematicians working in the field of computational fluid mechanics. AbstractThe numerical results of fluid flow problem that being embedded with the dust particles is presented in this paper. In order to analyze such problem, a two-phase model is constructed by introducing a fluid-particle interaction forces in the momentum equations of fluid and dust phases. The buoyancy forces and aligned magnetic field are considered on the fluid flow. Also, the Newtonian heating boundary condition is induced on the vertical stretching sheet. The suitable similarity transformation is applied to the governing equations of the model which then produces the ordinary differential system. The results are obtained by adapting the Runge-Kutta Fehlberg (RKF45) method whereby the solutions are interpreted in terms of velocity and temperature profiles for Jeffrey fluid and dust particles respectively. The influences of assorted physical parameters are visualized graphically to clarify the flow and heat transfer characteristic for both phases. The discovery found that the presence of the dust particles have an effect on the fluid motion which led to decelerate the fluid transference. The present flow model can match to the single phase fluid cases if the fluid particle interaction parameter is ignored. Abdul Rahman, Mohd Kasim, et al. "Fluid-Particle Interaction with Buoyancy Forces on Jeffrey Fluid with Newtonian Heating." CFD Letters 11.1 (2019): 1-16. Abdul Rahman, M. K., Nur Syamilah, A., Syazwani, M. Z., & Mohd Zuki, S.(2019). Fluid-Particle Interaction with Buoyancy Forces on Jeffrey Fluid with Newtonian Heating. CFD Letters, 11(1), 1-16. Abdul Rahman Mohd Kasim, Nur Syamilah Arifin, Syazwani Mohd Zokri, and Mohd Zuki Salleh. "Fluid-Particle Interaction with Buoyancy Forces on Jeffrey Fluid with Newtonian Heating." CFD Letters." 11, no. 1 (2019): 1-16. Abdul Rahman, M.K., Nur Syamilah, A., Syazwani, M.Z., and Mohd Zuki, S.,2019. Fluid-Particle Interaction with Buoyancy Forces on Jeffrey Fluid with Newtonian Heating. CFD Letters 11(1), pp. 1-16. Abdul Rahman MK, Nur Syamilah A, Syazwani MZ, Mohd Zuki S. Fluid-Particle Interaction with Buoyancy Forces on Jeffrey Fluid with Newtonian Heating. CFD Letters. 2019;11(1): 1-16. AbstractPresent paper investigates the flow and heat transfer of Magnetite (Fe3O4) water based nanofluid termed as ferrofluid on stagnation point past a stretching sheet with slip effect. The methodology starts with transforming the non-linear partial differential equations that governed the model to ordinary differential equations, then solved numerically by Runge-Kutta-Fehlberg (RKF45) method in Maple software. The influenced and characteristics of pertinent parameters which are the stretching parameter, magnetic parameter, velocity slip parameter and solid volume fraction for nanofluid are analyzed and discussed. It was found that the magnetite (Fe3O4) ferrofluid provided higher wall temperature and heat transfer capabilities compared to water. Meanwhile, the presence of slip effect had minimized the skin friction coefficient. Muhammad Khairul Anuar, Mohamed, et al. "MHD Slip Flow and Heat Transfer on Stagnation Point of a Magnetite (Fe3O4 ) Ferrofluid towards a Stretching Sheet with Newtonian Heating." CFD Letters 11.1 (2019): 17-27. Muhammad Khairul Anuar, M., Nurul Ainn, I., Norhamizah, H., Norlianah, M. S., & Mohd Zuki, S.(2019). MHD Slip Flow and Heat Transfer on Stagnation Point of a Magnetite (Fe3O4 ) Ferrofluid towards a Stretching Sheet with Newtonian Heating. CFD Letters, 11(1), 17-27. Muhammad Khairul Anuar Mohamed, Nurul Ainn Ismail, Norhamizah Hashim, Norlianah Mohd Shah, and Mohd Zuki Salleh. "MHD Slip Flow and Heat Transfer on Stagnation Point of a Magnetite (Fe3O4 ) Ferrofluid towards a Stretching Sheet with Newtonian Heating." CFD Letters." 11, no. 1 (2019): 17-27. Muhammad Khairul Anuar, M., Nurul Ainn, I., Norhamizah, H., Norlianah, M.S., and Mohd Zuki, S.,2019. MHD Slip Flow and Heat Transfer on Stagnation Point of a Magnetite (Fe3O4 ) Ferrofluid towards a Stretching Sheet with Newtonian Heating. CFD Letters 11(1), pp. 17-27. Muhammad Khairul Anuar M, Nurul Ainn I, Norhamizah H, Norlianah MS, Mohd Zuki S. MHD Slip Flow and Heat Transfer on Stagnation Point of a Magnetite (Fe3O4 ) Ferrofluid towards a Stretching Sheet with Newtonian Heating. CFD Letters. 2019;11(1): 17-27. AbstractBlended fuels have great potential for substitution with petroleum fuel for the purpose of emission control and fuel ef?ciency improvement. This research is to investigate the effect of high injection pressure and high ambient condition of biodiesel blends on spray characteristics using Computational Fluid Dynamics (CFD). The variables in this study are the various injection pressure (220, 250 and 280 MPa) and ambient temperatures (850, 950, and 1050 K), while the ambient pressure is kept constant at 8 MPa. The simulation in ANSYS FLUENT was used to observe the spray characteristics of biodiesel blends at various conditions. Simulation results show that longer spray penetration length with smaller spray signi?cantly a?ects the mixture formation biodiesel blends compared to pure diesel at high injection pressure and ambient temperature. Norrizam, Jaat, et al. "Analysis of Injection Pressure and High Ambient Density of Biodiesel Spray using Computational Fluid Dynamics." CFD Letters 11.1 (2019): 28-39. Norrizam, J., Amir, K., Norrizal, M., Fathul Hakim, Z., Norshuhaila, M. S., Ridwan, S. N., Mahmod, A. H. M., & Djamal, D.(2019). Analysis of Injection Pressure and High Ambient Density of Biodiesel Spray using Computational Fluid Dynamics. CFD Letters, 11(1), 28-39. Norrizam Jaat, Amir Khalid, Norrizal Mustaffa, Fathul Hakim Zulkifli, Norshuhaila Mohamed Sunar, Ridwan Saputra Nursal, Mahmod Abd Hakim Mohamad, and Djamal Didane. "Analysis of Injection Pressure and High Ambient Density of Biodiesel Spray using Computational Fluid Dynamics." CFD Letters." 11, no. 1 (2019): 28-39. Norrizam, J., Amir, K., Norrizal, M., Fathul Hakim, Z., Norshuhaila, M.S., Ridwan, S.N., Mahmod, A.H.M., and Djamal, D.,2019. Analysis of Injection Pressure and High Ambient Density of Biodiesel Spray using Computational Fluid Dynamics. CFD Letters 11(1), pp. 28-39. Norrizam J, Amir K, Norrizal M, Fathul Hakim Z, Norshuhaila MS, Ridwan SN, Mahmod AHM, Djamal D. Analysis of Injection Pressure and High Ambient Density of Biodiesel Spray using Computational Fluid Dynamics. CFD Letters. 2019;11(1): 28-39. AbstractIn this paper, the homotopy analysis method (HAM) and Runge-Kutta-Fehlberg fourth-fifth order method (RKF45M) are applied to investigate the 2D Sakiadis flow of non-Newtonian Casson fluid with convective boundary conditions based on the Buongiorno’s mathematical model. The governing boundary layer equations of continuity, momentum, thermal energy and nanoparticle concentration are derived and converted to the dimensionless form via the similarity variables. The present solutions agree entirely with those available results in the literatures. A parametric study is also performed to illustrate the effects of pertinent parameters on the fluid flow. It is shown that the skin friction coefficient for a non-Newtonian fluid is found to be higher than that of the Newtonian one. Furthermore, the thermal boundary layer thickness is greatly affected by the resistive Lorentz force and viscous dissipation. Emran, Khoshrouye Ghiasi, and Reza, Saleh. "Analytical and Numerical Solutions to the 2D Sakiadis Flow of Casson Fluid with Cross Diffusion, Inclined Magnetic Force, Viscous Dissipation and Thermal Radiation Based on Buongiorno's Mathematical Model." CFD Letters 11.1 (2019): 40-54. Emran, K. G., & Reza, S.(2019). Analytical and Numerical Solutions to the 2D Sakiadis Flow of Casson Fluid with Cross Diffusion, Inclined Magnetic Force, Viscous Dissipation and Thermal Radiation Based on Buongiorno's Mathematical Model. CFD Letters, 11(1), 40-54. Emran Khoshrouye Ghiasi, and Reza Saleh. "Analytical and Numerical Solutions to the 2D Sakiadis Flow of Casson Fluid with Cross Diffusion, Inclined Magnetic Force, Viscous Dissipation and Thermal Radiation Based on Buongiorno's Mathematical Model." CFD Letters." 11, no. 1 (2019): 40-54. Emran, K.G., and Reza, S.,2019. Analytical and Numerical Solutions to the 2D Sakiadis Flow of Casson Fluid with Cross Diffusion, Inclined Magnetic Force, Viscous Dissipation and Thermal Radiation Based on Buongiorno's Mathematical Model. CFD Letters 11(1), pp. 40-54. Emran KG, Reza S. Analytical and Numerical Solutions to the 2D Sakiadis Flow of Casson Fluid with Cross Diffusion, Inclined Magnetic Force, Viscous Dissipation and Thermal Radiation Based on Buongiorno's Mathematical Model. CFD Letters. 2019;11(1): 40-54. AbstractThe purpose of this communication is to examine the micro-rotation and micro-inertia characteristics of nanofluids over a solid sphere under mixed convection effect. Two types of oxide nanoparticles namely graphene and iron oxide suspended in two different types of base fluids such as methanol and kerosene oil. The governing boundary layer equations are transformed into nonlinear partial differential equations system and solved numerically using an implicit finite difference scheme known as Keller box method. The results for temperature, velocity and angular velocity are discussed and plotted for different values of the parameters, namely, nanoparticle volume fraction, the micro-rotation parameter and the mixed convection parameter by considering the thermo-physical properties of both nanoparticles and base fluids. Moreover, numerical results for the local Nusselt number and the local skin friction coefficient are obtained. It is found that Fe3O4/GO kerosene oil has higher in local Nusselt number compared with Fe3O4/GO methanol. The results of the local Nusselt number and the local skin friction for the Newtonian fluid are found to be in good accurate with the literature. Hamzeh, T. Alkasasbeh, et al. "Effects Of Mixed Convection On Methanol And Kerosene Oil Based Micropolar Nanofluid Containing Oxide Nanoparticles." CFD Letters 11.1 (2019): 55-68. Hamzeh, T. A., Mohammed, Z. S., Abid, H., & Mustafa, M.(2019). Effects Of Mixed Convection On Methanol And Kerosene Oil Based Micropolar Nanofluid Containing Oxide Nanoparticles. CFD Letters, 11(1), 55-68. Hamzeh T. Alkasasbeh, Mohammed Z. Swalmeh, Abid Hussanan, and Mustafa Mamat. "Effects Of Mixed Convection On Methanol And Kerosene Oil Based Micropolar Nanofluid Containing Oxide Nanoparticles." CFD Letters." 11, no. 1 (2019): 55-68. Hamzeh, T.A., Mohammed, Z.S., Abid, H., and Mustafa, M.,2019. Effects Of Mixed Convection On Methanol And Kerosene Oil Based Micropolar Nanofluid Containing Oxide Nanoparticles. CFD Letters 11(1), pp. 55-68. Hamzeh TA, Mohammed ZS, Abid H, Mustafa M. Effects Of Mixed Convection On Methanol And Kerosene Oil Based Micropolar Nanofluid Containing Oxide Nanoparticles. CFD Letters. 2019;11(1): 55-68. AbstractAs the field of Computational Fluid Dynamics (CFD) continues to grow, some advanced simulation methods such as mesh-less (or particle) methods have been devised to solve fluid flow problems involving complex dynamics. The popular Moving Particle Semi-implicit (MPS) method is one of the particle methods commonly used to solve fluid flow problems without relying on the pre-existing mesh structure. Recently, based on the MPS method, two new methods, i.e. the Moving Particle Pressure Mesh (MPPM) and the Moving Particle Level-Set (MPLS) methods have been developed in our research team to simulate single- and multi-phase flow problems and meanwhile to obtain a smoother pressure field. In the current work, the Open Multi Processing (OpenMP) library was used to parallelize the MPLS code on a shared memory machine and the effects of parallelism on the computation performances of MPLS were studied. The test case used to benchmark the computation performance was the multi-phase problem, i.e. the problem involving Rayleigh-Taylor Instability (RTI). The machine used in this work has 6 physical cores with 12 logical threads. The maximum speedup was 3.71x, which was comparable to those achieved by similar particle methods such as Direct Simulation Monte Carlo, Discrete Element Method, etc. Strong and weak scaling studies were conducted and the memory access (cache hit rates) under different scheduling patterns was investigated. It was found that the speedup and core performance of the level-set function implemented in the MPLS code was relatively high. Abdalla Mohamed, Elfatih Ibrahim, et al. "On the Parallelization of Moving Particle Level Set (MPLS) Method for Multiphase Flow Simulation using OpenMP." CFD Letters 11.1 (2019): 69-85. Abdalla Mohamed, E. I., Ng, K. C., & Ng, Y. L.(2019). On the Parallelization of Moving Particle Level Set (MPLS) Method for Multiphase Flow Simulation using OpenMP. CFD Letters, 11(1), 69-85. Abdalla Mohamed Elfatih Ibrahim, Khai Ching Ng, and Yee Luon Ng. "On the Parallelization of Moving Particle Level Set (MPLS) Method for Multiphase Flow Simulation using OpenMP." CFD Letters." 11, no. 1 (2019): 69-85. Abdalla Mohamed, E.I., Ng, K.C., and Ng, Y.L.,2019. On the Parallelization of Moving Particle Level Set (MPLS) Method for Multiphase Flow Simulation using OpenMP. CFD Letters 11(1), pp. 69-85. Abdalla Mohamed EI, Ng KC, Ng YL. On the Parallelization of Moving Particle Level Set (MPLS) Method for Multiphase Flow Simulation using OpenMP. CFD Letters. 2019;11(1): 69-85. AbstractMechanical heart assist device has been accepted as a reliable treatment modality for advanced heart failure patient option other than orthotropic heart transplantation. One type of the device is a centrifugal rotary mechanical blood pump that has an impeller levitated using a magnetic motor system in which, it reduces blood damage compared to its predecessors. Spiral Groove Bearing (SGB) is proposed as another design consideration to further decrease blood damage, increasing blood flow in the tight gaps, while maintaining pump performances. There were few studies investigating several aspects of SGB effect on blood flow within the mechanical blood pump, however no study has been done on the SGB geometry configurations, and its effect on device performance. In this study, two design factors of SGB geometry were simulated using computational fluid dynamics (CFD) software – a gap between impeller and housing, and SGB groove depths. The resulting variants were then evaluated using several performance indexes which are pump pressure output, average washout flow, hemolysis index, bearing load carrying capacity and pump efficiency. From the results, there are two conclusions that can be drawn. By deepening SGB groove depth, blood pump performance increased, while increasing the gap between the impeller and pump housing, most performance indexes were reduced. Scoring and screening method was also utilized to evaluate the best variant and it was found that, the variant with SGB groove depths 1000 ?m and gap of 80 ?m was the best in term of overall performances. Shirly, Empaling, et al. "Spiral Groove Bearing Geometry Variation Effect on Left Ventricular Assist Device Impeller Performance." CFD Letters 11.1 (2019): 86-101. Shirly, E., Ahmad Zahran, M. K., Muhammad Rashidi, A. K., Kahar, O., Akmal Hakim, M. H., Mohammad Hasbullah, P., Ishkrizat, A. T., Mohamed Ezani, A. T., & Aizai Azan, A. R.(2019). Spiral Groove Bearing Geometry Variation Effect on Left Ventricular Assist Device Impeller Performance. CFD Letters, 11(1), 86-101. Shirly Empaling, Ahmad Zahran Md Khudzari, Muhammad Rashidi Abdul Kadir, Kahar Osman, Akmal Hakim Mohamad Hudzari, Mohammad Hasbullah Padzillah, Ishkrizat Abdul Talib, Mohamed Ezani Abdul Taib, and Aizai Azan Abdul Rahim. "Spiral Groove Bearing Geometry Variation Effect on Left Ventricular Assist Device Impeller Performance." CFD Letters." 11, no. 1 (2019): 86-101. Shirly, E., Ahmad Zahran, M.K., Muhammad Rashidi, A.K., Kahar, O., Akmal Hakim, M.H., Mohammad Hasbullah, P., Ishkrizat, A.T., Mohamed Ezani, A.T., and Aizai Azan, A.R.,2019. Spiral Groove Bearing Geometry Variation Effect on Left Ventricular Assist Device Impeller Performance. CFD Letters 11(1), pp. 86-101. Shirly E, Ahmad Zahran MK, Muhammad Rashidi AK, Kahar O, Akmal Hakim MH, Mohammad Hasbullah P, Ishkrizat AT, Mohamed Ezani AT, Aizai Azan AR. Spiral Groove Bearing Geometry Variation Effect on Left Ventricular Assist Device Impeller Performance. CFD Letters. 2019;11(1): 86-101. AbstractSolar energy is one of the renewable energy sources which have potential for future energy applications. The current technology converts solar energy into electricity and heat respectively. The aim from the paper to increases the PV efficiency by using duct of air under the PV panels to help reduce the temperature of the PV cells, an effort was made to simulate and evaluate the overall performance of a hybrid photovoltaic thermal (PVT) air collector using computational fluid dynamics (CFD) software. The numerical analysis of the flow and heat transfer in hybrid PVT systems is computationally complicated. Based on numerical analysis, the performance of a solar hybrid PVT air collector was studied. The numerical simulation was performed using a commercial software ANSYS FLUENT 19.1. The electrical energy conversion from the solar cells was calculated with a user defined function. The numerical results were validated with the experimental results from the literature. The results showed a good agreement between the experimental and simulated results for outlet air temperature and PV cell temperature. Using a validated model, the effects of mass flow rate and duct depth on the performance of solar hybrid PVT collector were studied and optimum values were identified. The results indicated that the reduction in the depth of air channel increases the thermal efficiency, but it has no considerable effect on the electrical efficiency. The increase of the mass flow rate of air increases the thermal efficiency, but a slight enhancement is required for the generation of electrical power by PVT. Amira, Suhaimi, et al. "Numerical Analysis of Solar Hybrid Photovoltaic Thermal Air Collector Simulation by ANSYS." CFD Letters 11.2 (2019): 1-11. Amira Lateef, A., Suhaimi, M., Noreffendy, T., Mohd Afzanizam, M. R., & Fadhil Abdulameer, S.(2019). Numerical Analysis of Solar Hybrid Photovoltaic Thermal Air Collector Simulation by ANSYS. CFD Letters, 11(2), 1-11. Amira Lateef Abdullah, Suhaimi Misha, Noreffendy Tamaldin, Mohd Afzanizam Mohd Rosli, and Fadhil Abdulameer sachit. "Numerical Analysis of Solar Hybrid Photovoltaic Thermal Air Collector Simulation by ANSYS." CFD Letters." 11, no. 2 (2019): 1-11. Abdul Amira Lateef, A., Suhaimi, M., Noreffendy, T., Mohd Afzanizam, M. R., and Fadhil Abdulameer, S.,2019. Numerical Analysis of Solar Hybrid Photovoltaic Thermal Air Collector Simulation by ANSYS. CFD Letters 11(2), pp. 1-11. Amira Lateef A, Suhaimi M, Noreffendy T, Mohd Afzanizam MR, Fadhil Abdulameer S. Numerical Analysis of Solar Hybrid Photovoltaic Thermal Air Collector Simulation by ANSYS. CFD Letters. 2019;11(2): 1-11. AbstractAirfoil Leading Edge noise is generated due to impingement of turbulent structures onvthe airfoil surface. The rod-airfoil configuration is a benchmark configuration for the Leading edge noise and their noise calculation by computer simulation has peen progressively investigated to acceptable compare with the experiment. This paper presents the noise results finding between two distinct simulation models and their comparison with the experimental results. The two simulation models are Large-eddy simulation (LES) and the Delayed Detached-Eddy simulation (DDES). The DES can provide good noise results with the correct number of meshing grids with shorter timespan if compared to the LES. This study proposes to use DDES results for further rodairfoil noise analysis. Siti Ruhliah and Mohamed Sukri, et al. "Comparison of Rod-Airfoil Noise Calculation between Large Eddy Simulation (LES) and Detached-Eddy Simulation (DES)" CFD Letters 11.2 (2019): 12-20. Siti Ruhliah, L. S., & Mohamed Sukri, M. A.(2019). Comparison of Rod-Airfoil Noise Calculation between Large Eddy Simulation (LES) and Detached-Eddy Simulation (DES). CFD Letters, 11(2), 12-20. Siti Ruhliah Lizarose Samion, and Mohamed Sukri Mat Ali. "Comparison of Rod-Airfoil Noise Calculation between Large Eddy Simulation (LES) and Detached-Eddy Simulation (DES)." CFD Letters." 11, no. 2 (2019): 12-20. Siti Ruhliah, L. S., and Mohamed Sukri, M. A.,2019. Comparison of Rod-Airfoil Noise Calculation between Large Eddy Simulation (LES) and Detached-Eddy Simulation (DES). CFD Letters 11(2), pp. 12-20. Siti Ruhliah LS, Mohamed Sukri MA. Comparison of Rod-Airfoil Noise Calculation between Large Eddy Simulation (LES) and Detached-Eddy Simulation (DES). CFD Letters. 2019;11(2): 12-20. AbstractThis study aims to investigate MHD stagnation point flow of Magnetite (Fe3O4) with Newtonian heating and thermal radiation effect over a flat plate. The governing equation which is in the form of dimensional nonlinear partial differential equations are reduced to non-linear ordinary equations by using appropriate similarity transformation, then solved numerically by using Keller-box method, which programmed in Matlab software. The influenced of significant parameter such as the magnetic parameter, radiation parameter and volume fraction on velocity and temperature profiles will be obtained. The study reveals the radiation parameter will enhance the temperature of the flow. On the other hand, the skin friction and Nusselt number will increase with an increase magnetic parameter. Siti Hanani, Muhammad Khairul, et al. "Numerical Solution on MHD Stagnation Point Flow in Ferrofluid with Newtonian Heating and Thermal Radiation Effect." CFD Letters 11.2 (2019): 21-31. Siti Hanani, M. Y., Muhammad Khairul, A. M., Zulkhibri Ismail, M., Basuki, W., & Mohd Zuki, S.(2019). Numerical Solution on MHD Stagnation Point Flow in Ferrofluid with Newtonian Heating and Thermal Radiation Effect. CFD Letters, 11(2), 21-31. Siti Hanani Mat Yasin, Muhammad Khairul Anuar Mohamed, Zulkhibri Ismail@Mustofa, Basuki Widodo, and Mohd Zuki Salleh. "Numerical Solution on MHD Stagnation Point Flow in Ferrofluid with Newtonian Heating and Thermal Radiation Effect." CFD Letters." 11, no. 2 (2019): 21-31. Siti Hanani, M. Y., Muhammad Khairul, A. M., Zulkhibri Ismail, M., Basuki, W., and Mohd Zuki, S.,2019. Numerical Solution on MHD Stagnation Point Flow in Ferrofluid with Newtonian Heating and Thermal Radiation Effect. CFD Letters 11(2), pp. 21-31. Siti Hanani MY, Muhammad Khairul AM, Zulkhibri Ismail M, Basuki W, Mohd Zuki S. Numerical Solution on MHD Stagnation Point Flow in Ferrofluid with Newtonian Heating and Thermal Radiation Effect. 2019;11(2): 21-31. AbstractA numerical simulation has been carried out to investigate the aerodynamics of an oscillating delta wing and to evaluate the flow structure over the leading edge at different low Reynolds numbers. The numerical results of coefficient of lift (CL) vs angle of attack is validated with the experimental results from the previous study. Effects of Reynolds number and angle of attack is investigated for the wing lift coefficient, and the aerodynamic efficiency. Pressure contour and turbulence kinetic energy are also observed for each case. Vortex formation from each case is noted from pressure contour and lift coefficient. The stall condition is also observed. Considering the three Reynolds number at max CL, which is at angle of attack of 40 degrees, the CL only increased by 0.01, which is not a very significant increase. But L/D ratio has in-creased significantly for Reynolds number in the range from 8x104 to 1.5x105 and from Re 1.5x105 to 2.68x105. Whereas for each Reynolds number, the lift coefficient CL seems to attain highest value of 0.4 at angle of incidence between 10 degrees and -10 degrees to -20 degrees. Ilya Bashiera and Sher Afghan. "Aerodynamics Investigation of Delta Wing at Low Reynold’s Number." CFD Letters 11.2 (2019): 32-41. Ilya Bashiera, H., & Sher Afghan, K.(2019). Aerodynamics Investigation of Delta Wing at Low Reynold’s Number. CFD Letters, 11(2), 32-41. Ilya Bashiera Hamizi, and Sher Afghan Khan. "Aerodynamics Investigation of Delta Wing at Low Reynold’s Number." CFD Letters." 11, no. 2 (2019): 32-41. Ilya Bashiera, H., and Sher Afghan, K.,2019. Aerodynamics Investigation of Delta Wing at Low Reynold’s Number. CFD Letters 11(2), pp. 32-41. Ilya Bashiera H, Sher Afghan K. Aerodynamics Investigation of Delta Wing at Low Reynold’s Number. CFD Letters. 2019;11(2): 32-41. AbstractIn the painting production process, repairing of paint work defects by running the part through repeat process, together with the essential requirement quality control routines, account for a very large proportion of the operating costs .The dust and fibre defects is ranged between 40% and 50% and found to be the highest rejection from one of the local industry painting line. Hence that, this research is focused to study the effectiveness of simulating this painting line using Computational Fluid Dynamic (CFD) method to identify the air flow and turbulence pattern which may help to understand the particle concentration and movement in the painting line. Six mechanical designs of ventilation system was proposed in order to study the particle movement and concentration to this automotive painting line. From here, the best design which suite the objective of minimizing the particle concentration and its dissipation into the painted part are justified. Hence, improvement action such as layout arrangement and mechanical design are factors involved to overcome and minimize the foreign particle from fall down into the parts during the painting process. The result from this study may also be a benchmarking for future design of new automotive painting line. Muhammad Hafizan, Pauziah, et al. "Evaluation of Air Flow Pattern for Conceptual Design of Automotive Painting Line Using Computational Fluid Dynamic (CFD) for Better Dust Particle Reduction." CFD Letters 11.2 (2019): 42-49. Muhammad Hafizan, Y., Pauziah, M., & Norfazrina Hayati, M. Y.(2019). Evaluation of Air Flow Pattern for Conceptual Design of Automotive Painting Line Using Computational Fluid Dynamic (CFD) for Better Dust Particle Reduction. CFD Letters, 11(2), 42-49. Muhammad Hafizan Yosri, Pauziah Muhamad, and Norfazrina Hayati Mohd Yatim. "Evaluation of Air Flow Pattern for Conceptual Design of Automotive Painting Line Using Computational Fluid Dynamic (CFD) for Better Dust Particle Reduction." CFD Letters." 11, no. 2 (2019): 42-49. Muhammad Hafizan, Y., Pauziah, M., and Norfazrina Hayati, M. Y.,2019. Evaluation of Air Flow Pattern for Conceptual Design of Automotive Painting Line Using Computational Fluid Dynamic (CFD) for Better Dust Particle Reduction. CFD Letters 11(2), pp. 42-49. Muhammad Hafizan Y, Pauziah M, Norfazrina Hayati MY. Evaluation of Air Flow Pattern for Conceptual Design of Automotive Painting Line Using Computational Fluid Dynamic (CFD) for Better Dust Particle Reduction. CFD Letters. 2019;11(2): 42-49. AbstractThe photovoltaic thermal, PV/T water collector’s thermal and electrical performance was investigated for two absorbers design. Comparison between them were done using validated simulation of the model which was presented using theoretical data with the help of program MATLAB. The first design serpentine and the second serpin-Direct (new design), were defined under solar radiation levels (300-1100)W/m2. Mass flow rate range from (0.011 kg /s to 0.1 kg /s) at each level of solar radiation. The PV/T system was evaluated in terms of thermal efficiency, electrical efficiency and a combination of both PV/T efficiencies. The results showed that the values of cell efficiency increases with decreasing solar radiation and cell temperature. The cell temperature increases with increasing solar radiation and decreases with the increasing mass flow rate. The outlet water temperature increases with rising solar radiation and decreases as mass flow rate rises. At optimum conditions of 900W/?2 solar radiation and 0.06 kg/s mass flow rate, the results indicated that serpin-direct PV/T design achieved 53% thermal and 14.3% electrical efficiency respectively. Under same operating conditions the results showed the priority of serpen-direct PV/T collector design performance versus the serpentine PV/T collector in term of thermal and electrical efficiency. Fadhil Abdulameer, Mohd Afzanizam, et al. "Modelling, Validation and Analyzing Performance of Serpentine-Direct PV/T Solar Collector Design." CFD Letters 11.2 (2019): 50-65. Fadhil Abdulameer, S., Mohd Afzanizam, M. R., Noreffendy, T., Suhaimi, M., & Amira Lateef, A.(2019). Modelling, Validation and Analyzing Performance of Serpentine-Direct PV/T Solar Collector Design. CFD Letters, 11(2), 50-65. Fadhil Abdulameer sachit, Mohd Afzanizam Mohd Rosli, Noreffendy Tamaldin, Suhaimi Misha, and Amira Lateef Abdullah. "Modelling, Validation and Analyzing Performance of Serpentine-Direct PV/T Solar Collector Design." CFD Letters." 11, no. 2 (2019): 50-65. Fadhil Abdulameer, S., Mohd Afzanizam, M. R., Noreffendy, T., Suhaimi, M., and Amira Lateef, A.,2019. Modelling, Validation and Analyzing Performance of Serpentine-Direct PV/T Solar Collector Design. CFD Letters 11(2), pp. 50-65. Fadhil Abdulameer S, Mohd Afzanizam MR, Noreffendy T, Suhaimi M, Amira Lateef A. Modelling, Validation and Analyzing Performance of Serpentine-Direct PV/T Solar Collector Design. CFD Letters. 2019;11(2): 50-65. AbstractRiser which have a cylindrical structure is used in Oil & Gas industry to facilitate the safe transportation of material, fluids, and gases between seafloor and host platform. However, the continues interaction between the cylinder riser and shed vortices causes a several damage to the riser due to large amplitude of vibration experienced by the riser. As consequence, maintenance cost and time consuming to repair the damage increases. Hence, present study is conducted to investigate the effectiveness of fairing geometry to suppress vortex induced vibration of a cylindrical structure. Comparative analysis between bare cylinder and the proposed design is conducted to study the effect of fairing geometry on the drag coefficient and lift coefficient of proposed design. The result shows the existence of fairing geometry in proposed design has obtained the lower St number then cylinder riser and thus reduced the vortex shedding formation near to main structure. Besides that, vortex shedding formed by the proposed design is less aggressive and slower than bare cylinder. At the lower velocity (v = 0.5m/s), proposed design with the chord length of 1.5D shows the lowest CL and CD value. However, at the higher velocity (1.0m/s?v?2.0m/s), proposed design with the chord length of 1.25D shows the lowest CL value with average drag coefficient. Syamsul Azry,Aziz Japar, et al. "Design and Analysis of Vortex Induced Vibration (VIV) Suppression Device." CFD Letters 11.2 (2019): 66-80. Syamsul Azry, M. E., Aziz Japar, W. M. A., & Sidik, N. A. C.(2019). Design and Analysis of Vortex Induced Vibration (VIV) Suppression Device. CFD Letters, 11(2), 66-80. Syamsul Azry Md Esa, Wan Mohd. Arif Aziz Japar, and Nor Azwadi Che Sidik. "Design and Analysis of Vortex Induced Vibration (VIV) Suppression Device." CFD Letters." 11, no. 2 (2019): 66-80. Syamsul Azry, M. E., Aziz Japar, W. M. A., and Sidik, N. A. C.,2019. Design and Analysis of Vortex Induced Vibration (VIV) Suppression Device. CFD Letters 11(2), pp. 66-80. Syamsul Azry ME, Aziz Japar WMA, Sidik NAC. Design and Analysis of Vortex Induced Vibration (VIV) Suppression Device. CFD Letters. 2019;11(2): 66-80. AbstractThis study focus on experimental exploration of heat transfer by helical coil. Helical pipe of circular cross section is used widely in variety of applications due to inexpensive and easiness in production. Enhancement of heat transfer by helical pipe is more prominent than in straight pipe, which has supported by many literatures. Controlling pressure drop (which is also a significant factor) to enhance heat transfer in the helical pipe. Modeling of dual phase, especially fluid – vapor flow under adiabatic conditions inside a flat helical tube utilizing CFD examination is difficult with the accessible dual phase models in fluent due to constantly changing flow patterns. In the present investigation, CFD examination of two phase flow of refrigerants inside a level helical pipe of inward diameter across, 20 mm and 100mm length is completed utilizing homogeneous model in adiabatic conditions. The refrigerants considered are R290 and R134a. The investigation is performed at saturation temperatures with fluid flow rates to assess the nearby frictional weight drop. Flow characteristics, velocity, pressure drop, turbulent kinetic energy, and temperature contours along the total length of the coil are to be analysed. Velocity, pressure drop, turbulent kinetic energy, and temperature distribution of multi-phase flow inside the pipe also to be analyzed. By utilizing homogeneous model, normal properties are acquired for each of the refrigerants that are considered as multi-stage pseudo liquid. Parashurama, Govindegowda, et al. "CFD Analysis of Dual-Phase Flows Inside Helically Coiled Tubes in Vapour Compression Micro-Refrigerator." CFD Letters 11.2 (2019): 81-94. Parashurama, S., Govindegowda, M. S., Srinath, M. S., & Ramesha, D. K.(2019). CFD Analysis of Dual-Phase Flows Inside Helically Coiled Tubes in Vapour Compression Micro-Refrigerator. CFD Letters, 11(2), 81-94. Parashurama Siddegowda, Govindegowda Mundur Sannappagowda, Srinath Mandya Sridharamuthy, and Ramesha Devarahalli Kempegowda. "CFD Analysis of Dual-Phase Flows Inside Helically Coiled Tubes in Vapour Compression Micro-Refrigerator." CFD Letters." 11, no. 2 (2019): 81-94. Parashurama, S., Govindegowda, M. S., Srinath, M. S., and Ramesha, D. K.,2019. CFD Analysis of Dual-Phase Flows Inside Helically Coiled Tubes in Vapour Compression Micro-Refrigerator. CFD Letters 11(2), pp. 81-94. Parashurama S, Govindegowda MS, Srinath MS, Ramesha DK. CFD Analysis of Dual-Phase Flows Inside Helically Coiled Tubes in Vapour Compression Micro-Refrigerator. CFD Letters. 2019;11(2): 81-94. AbstractThis paper describes the numerical investigation on single leak and double leaks subsea pipeline leakage using ANSYS FLUENT based on standard k-? model under steady-state condition. The simulation is done to investigate the effect of fluid velocity and emergence of second leak on the leak flow rate, pressure distribution and turbulence kinetic energy at near leak region and compare those flow parameters between single leak and double leaks subsea pipeline models. The simulations results show that the change of pipeline fluid velocity only has little impact on the flow behavior at leak region. The emergence of second leak does not cause much effect on the flow behavior at first leak. When both models are compared, the leak flow rate at first leak is always higher than that of the second leak. Pressure distribution disturbance due to leak is much more significant at second leak as compared to first leak while vice versa for turbulence kinetic energy along the subsea pipeline. Ong, and Siti Ujila, et al. "Computational Fluid Dynamics Analysis on Single Leak and Double Leaks Subsea Pipeline Leakage." CFD Letters 11.2 (2019): 95-107. Ong, Y. W., & Siti Ujila, M.(2019). Computational Fluid Dynamics Analysis on Single Leak and Double Leaks Subsea Pipeline Leakage. CFD Letters, 11(2), 95-107. Ong Yong Wei and Siti Ujila Masuri. "Computational Fluid Dynamics Analysis on Single Leak and Double Leaks Subsea Pipeline Leakage." CFD Letters." 11, no. 2 (2019): 95-107. Ong, Y. W., and Siti Ujila, M.,2019. Computational Fluid Dynamics Analysis on Single Leak and Double Leaks Subsea Pipeline Leakage. CFD Letters 11(2), pp. 95-107. Ong YW, Siti Ujila M. Computational Fluid Dynamics Analysis on Single Leak and Double Leaks Subsea Pipeline Leakage. CFD Letters. 2019;11(2): 95-107. AbstractIn this paper a numerical investigation of conjugate natural convection inside a divided square cavity filled with Al2O3-water nanofluid is performed. The lattice Boltzmann method (LBM) is used to solve the governing equations. The nanofluid thermo-physical properties are selected based on literature experimental correlations. The grid independency was checked and the LBM code model was validated on two different cases for wide ranges of the present problem monitoring parameters. A good agreement is obtained by comparison with reported results in the literature. The study of the conjugate heat transfer and nanoliquid motion is, afterward, conducted for the ranges of nanoparticles volume fraction (%): 1 ? ?? 4, temperature (°C): 20 ? T? 40, particle size (nm): 15? dp?120 and Rayleigh number: 103 ?Ra ? 106. It will be shown firstly that, at room temperature, the viscosity and the thermal conductivity experimental correlations based models give results in strong deviation compared to theoretical ones. The effects of the aforementioned problem parameters on local and average heat transfer and velocity profiles are explored and discussed. Results show a heat transfer rise by increasing the temperature. However, for the Al2O3 nanoparticles size, the enhancement marked a maximum close to dp=33nm in a concave behavior. The heat transfer and the fluid motion are dumped by increasing the volume fraction ? (%) and the nanoparticles size (dp ?35nm) due to the reduced effective Ra* number. Mokhtar, Ferhi et al. "Conjugate Natural Convection in a Partitioned Square Cavity Filled with Al2O3-Water Nanofluid Based on Experimental Correlations: a Lattice Boltzmann investigation." CFD Letters 11.3 (2019): 1-27. Mokhtar, F., Ridha, D., & Said, A.(2019). Conjugate Natural Convection in a Partitioned Square Cavity Filled with Al2O3-Water Nanofluid Based on Experimental Correlations: a Lattice Boltzmann investigation. CFD Letters, 11(3), 1-27. Mokhtar Ferhi, Ridha Djebali, and Said Abboudi. "Conjugate Natural Convection in a Partitioned Square Cavity Filled with Al2O3-Water Nanofluid Based on Experimental Correlations: a Lattice Boltzmann investigation." CFD Letters." 11, no. 3 (2019): 1-27. Mokhtar, F., Ridha, D., Said, A., 2019. Conjugate Natural Convection in a Partitioned Square Cavity Filled with Al2O3-Water Nanofluid Based on Experimental Correlations: a Lattice Boltzmann investigation. CFD Letters 11(3), pp. 1-27. Mokhtar F, Ridha D, Said A. Conjugate Natural Convection in a Partitioned Square Cavity Filled with Al2O3-Water Nanofluid Based on Experimental Correlations: a Lattice Boltzmann investigation. CFD Letters. 2019;11(3): 1-27. AbstractDrying of biomaterials such as agro-food products includes mass, momentum and energy transport coupled with shrinkage of the porous material which have important impacts on the final quality and energy consumption. These materials present nonlinearity when going through deformations that affect the transport process in critical way. Therefore, it’s important to realize a finite element modeling and simulation of this phenomenon. In this paper apple convective drying process is investigated. The hydro-thermo-viscoelastic behavior of this phenomenon is modeled and simulated using COMSOL Multiphysics. The grid independency test is checked and the validation of the model is performed by comparing the present results with former predictions and measurements for temperature and water content time evolution under conditions: T = 50-70 °C, V = 1.5 m/s and HR = 20%. The present results show good agreement with reference predictions and measurements. The aim of the study is to analyze the influence of some of the most important operating factors, namely humidity, temperature and velocity of the drying air on the performance of drying process of an apple slice. Wiem, Nasri et al. "Apple Convective Drying - Part I: Finite Elements Parametric Study for Appraising the Operating Conditions Effects." CFD Letters 11.3 (2019): 28-41. Wiem, N., Ridha, D., Marjan, G., Mohamed Ammar, A., & Said, A.(2019). Apple Convective Drying - Part I: Finite Elements Parametric Study for Appraising the Operating Conditions Effects. CFD Letters, 11(3), 28-41. Wiem Nasri, Ridha Djebali, Marjan Goodarzi, Mohamed Ammar Abbassi, and Said Abboudi. "Apple Convective Drying - Part I: Finite Elements Parametric Study for Appraising the Operating Conditions Effects." CFD Letters." 11, no. 3 (2019): 28-41. Wiem, N., Ridha, D., Marjan, G., Mohamed Ammar, A., Said, A., 2019. Apple Convective Drying - Part I: Finite Elements Parametric Study for Appraising the Operating Conditions Effects. CFD Letters 11(3), pp. 28-41. Wiem N, Ridha D, Marjan G, Mohamed Ammar A, Said A. Apple Convective Drying - Part I: Finite Elements Parametric Study for Appraising the Operating Conditions Effects. CFD Letters. 2019;11(3): 28-41. AbstractVarious parameters affecting the drying process of an apple were optimized by adopting the Taguchi experimental design technique (TEDT). Such a technique reduces the number of experiments while maintaining excellent accuracy and treating the measured values and their dispersion for the process parameters including the drying air temperature, the relative humidity, the velocity and the sample shape factor. The goal is to optimize the drying time as well as the internal mechanical stress as the average moisture content in the dried sample reaches value resultant in water activity of 90%. The optimized combination of conditions (parameters levels) were found to be in ranges: temperature [60, 70 °C], velocity [1.25, 2 m/s], relative humidity [5, 15%] and a sample shape ratio of 0.5 for an estimated average time 242.75 ??? and an estimated mechanical stress 5.46?7 ??? . A confirmation test by COMSOL using the optimized conditions gives excellent agreement with the estimated values emerging from the TEDT optimization and resulting in around four hours of drying time. Wiem, Nasri et al. "Apple Convective Drying - Part II: Scrutinization of Monitoring Parameters Levels via Taguchi Optimization Approach." CFD Letters 11.3 (2019): 42-54. Wiem, N., Ridha, D., Marjan, G., Mohamed Ammar, A., & Said, A.(2019). Apple Convective Drying - Part II: Scrutinization of Monitoring Parameters Levels via Taguchi Optimization Approach. CFD Letters, 11(3), 42-54. Wiem Nasri, Ridha Djebali, Marjan Goodarzi, Mohamed Ammar Abbassi, and Said Abboudi. "Apple Convective Drying - Part II: Scrutinization of Monitoring Parameters Levels via Taguchi Optimization Approach." CFD Letters." 11, no. 3 (2019): 42-54. Wiem, N., Ridha, D., Marjan, G., Mohamed Ammar, A., Said, A., 2019. Apple Convective Drying - Part II: Scrutinization of Monitoring Parameters Levels via Taguchi Optimization Approach. CFD Letters 11(3), pp. 42-54. Wiem N, Ridha D, Marjan G, Mohamed Ammar A, Said A. Apple Convective Drying - Part II: Scrutinization of Monitoring Parameters Levels via Taguchi Optimization Approach. CFD Letters. 2019;11(3): 42-54. AbstractThe present study aims to investigate numerically the routes to unsteadiness behavior inside tall cavities at low Prandtl numbers (Pr=0.01- 0.1) under imposed horizontal magnetic field. The transition thresholds are marked under the variation of the cavity aspect ratio Ar=W/H (1/8, 1/4, 1/2), the Rayleigh number Ra (104-5×107) and the Hartmann number Ha (0-150). The Lattice Boltzmann (LBM) approach is used to solve the governing equations. Horizontal temperature gradient is responsible of the convective motion and heat transfer. The changes in the convective flow patterns and temperature contours due to the effects of varying the controlling parameters and associated heat transfer are examined. It has been concluded that the flow is strongly unstable and presents multi-cellular structure at Pr=0.01 typical of liquid metal compared to Pr=0.1 cases. The same effect is observed by decreasing the cavity aspect ratio Ar. The Magnetic field magnitude necessary to control and stabilize the flow is the weaker for Pr=0.1. Increasing gradually the Rayleigh number Ra, the flow undergoes transition to steady state with fewer cells than at low Ra. the transition occurs at a threshold value showing weak growth rate in the Hacr compared to Ra variation. Increasing the Prandtl number to 0.1, the core flow structure is distorted due to the Lorentz forces which outweigh the buoyancy forces and a thermal stratification is clearly established. For high Hartman numbers and Rayleigh numbers, the stretching effects suppress the unsteady behaviour and results in steady state with extended unicellular pattern in the direction of Lorentz force. Ridha, Djebali et al. "Transition Thresholds and Routes to Unsteadiness of Magneto-Convective Flows in Tall Cavities at Low-Prandtl Number Fluids." CFD Letters 11.3 (2019): 55-71. Ridha, D., Said, A., & Mohamed Ammar, A.(2019). Transition Thresholds and Routes to Unsteadiness of Magneto-Convective Flows in Tall Cavities at Low-Prandtl Number Fluids. CFD Letters, 11(3), 55-71. Ridha Djebali, Said Abboudi, and Mohamed Ammar Abbassi. "Transition Thresholds and Routes to Unsteadiness of Magneto-Convective Flows in Tall Cavities at Low-Prandtl Number Fluids." CFD Letters." 11, no. 3 (2019): 55-71. Ridha, D., Said, A., Mohamed Ammar, A., 2019. Transition Thresholds and Routes to Unsteadiness of Magneto-Convective Flows in Tall Cavities at Low-Prandtl Number Fluids. CFD Letters 11(3), pp. 55-71. Ridha D, Said A, Mohamed Ammar A. Transition Thresholds and Routes to Unsteadiness of Magneto-Convective Flows in Tall Cavities at Low-PrandtlNumber Fluids. CFD Letters. 2019;11(3): 55-71. AbstractThis paper is dedicated towards the design and fabrication of a mini sailplane with the aim of maximizing the glide ratio CL/CD. And at the same time minimizing the weight of the plane. For this NACA 7037 airfoil was selected for subsonic domain corresponding to low Reynolds number varying within the range of 105 to 3×105 as per the recommendations from literature . A cambered NACA 7037 was fabricated from the wooden material and was experimentally investigated with different range of velocities and angle of attack for coefficient of lift and drag using wind tunnel setup. The same was numerically investigated using the commercial Finite Element Analysis FEA code of ANSYS FLUENT®. The results compared very well with the experimental one, thereby validating the computational fluid dynamics CFD model. This CFD model was applied to mini sailplane which has cambered profile made up of Balsa wood. Initially, flow around the wing was investigated in order to determine the optimal design for wing by comparing lift, lift-to-drag ratio, stalling characteristics and pitching moment. Finally, the entire sailplane was analysed to get the overall aerodynamic characteristic of the assembly. Main-plane and tail-plane distance was optimized along with the areas of the control surfaces for maximizing L/D ratio and certain designing rules were established. Drag, lift coefficient and pitching moment have been discussed and the appropriate conclusion was drawn. The experiment and calculation showed a significant improvement in the sailplane performance after using an optimized wing configuration. Mohd Danish et al. "Design, Analysis and Fabrication of A Mini-Sailplane for Didactic Purposes In the Area of Development of UAV’s/MAV’s." CFD Letters 11.3 (2019): 72-83. Mohd Danish, Zainul, A., Azhar, J., & Syed Mohd. Yahya.(2019). Design, Analysis and Fabrication of A Mini-Sailplane for Didactic Purposes In the Area of Development of UAV’s/MAV’s. CFD Letters, 11(3), 72-83. Mohd Danish, Zainul Arfin, Azhar Jamil, and Syed Mohd. Yahya. "Design, Analysis and Fabrication of A Mini-Sailplane for Didactic Purposes In the Area of Development of UAV’s/MAV’s." CFD Letters." 11, no. 3 (2019): 72-83. Mohd Danish, Zainul, A., Azhar, J., Syed Mohd. Yahya., 2019. Design, Analysis and Fabrication of A Mini-Sailplane for Didactic Purposes In the Area of Development of UAV’s/MAV’s. CFD Letters 11(3), pp. 72-83. Mohd Danish, Zainul A, Azhar J, Syed Mohd. Yahya. Design, Analysis and Fabrication of A Mini-Sailplane for Didactic Purposes In the Area of Development of UAV’s/MAV’s. CFD Letters. 2019;11(3): 72-83. AbstractPulse jet impinging laterally on the pin fin surface have a dual effect (increment and decrement) on the heat transfer rate. The present work manifests the decrement observed in heat transfer rate because of pulse jet impinging on uniform and nonuniform dimensional pin fin heat sink compared with the steady jet. In order to justify and scale the degree of decrement in heat transfer rate, various non-dimensional correlations for both types of the heat sink has been involved. A newly defined dimensionless number is proposed in the present work, followed by a materialistic rationalization using thermal images and flow pattern. Interpretation of the characteristic length on the target side and its effect on heat transfer rate by amending the percentage of void spaces present on it (non-uniform dimensional heat sink) is the indispensable assignment of the present research. Siddique, Mohd Umair et al. "Numerical Study of Heat Transfer Augmentation Using Pulse Jet Impinging on Pin Fin Heat Sink." CFD Letters 11.3 (2019): 84-91. Siddique, M. U., Sher, A. K., Abdulrahman, A., & Emaad, A.(2019). Numerical Study of Heat Transfer Augmentation Using Pulse Jet Impinging on Pin Fin Heat Sink. CFD Letters, 11(3), 84-91. Siddique Mohd Umair, Sher Afghan Khan, Abdulrahman Alrobaian, and Emaad Ansari. "Numerical Study of Heat Transfer Augmentation Using Pulse Jet Impinging on Pin Fin Heat Sink." CFD Letters." 11, no. 3 (2019): 84-91. Siddique, M.U., Sher, A.K., Abdulrahman, A., Emaad, A., 2019. Numerical Study of Heat Transfer Augmentation Using Pulse Jet Impinging on Pin Fin Heat Sink. CFD Letters 11(3), pp. 84-91. Siddique MU, Sher AK, Abdulrahman A, Emaad A. Numerical Study of Heat Transfer Augmentation Using Pulse Jet Impinging on Pin Fin Heat Sink. CFD Letters. 2019;11(3): 84-91. AbstractThis study presents an application of the Fluent CFD methodology to solve Navier-Stokes equations, for the forecast of flow implying evolution of principal vortices developed on suction face of a thin delta wing. A delta wing model with apex angle ?=80° is subjected to measurements in subsonic wind tunnel and defect pressure coefficient values reached under the apex vortex core are obtained via a row of pressure taps. Numerical simulations are carried out for the same experimental delta wing model at angle of attack i=15°, before the vortex bursting, and at Reynolds number based on the wing chord Re=1.0840×105. Numerical predictions of defect pressure coefficient –Cp are compared to experimental data. Good agreement is obtained between predictions and measurements. Pressure and velocity evolutions at different cross-sections of the longitudinal vortex were also considered allowed us to reveal clearly the apex vortex core. The numerical results analysis in several cross sections reveals a peak distinct under the principal apex vortex. At the studied delta wing suction face the defect pressure coefficient reaches maximal value close to 2.5 which agrees with that found in literature. 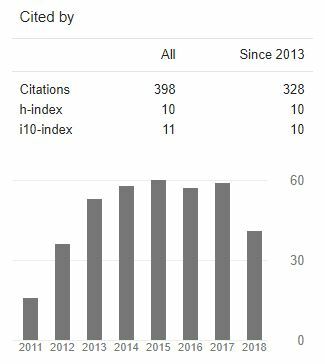 Iddir, Boumrar et al. "Experimental Validation of Pressure Distribution Prediction under Delta Wing Apex Vortex at High Reynolds Numbers." CFD Letters 11.3 (2019): 92-102. Iddir, B., & Ridha, D.(2019). Experimental Validation of Pressure Distribution Prediction under Delta Wing Apex Vortex at High Reynolds Numbers. CFD Letters, 11(3), 92-102. Iddir Boumrar, and Ridha Djebali. "Experimental Validation of Pressure Distribution Prediction under Delta Wing Apex Vortex at High Reynolds Numbers." CFD Letters." 11, no. 3 (2019): 92-102. Iddir, B., Ridha, D., 2019. Experimental Validation of Pressure Distribution Prediction under Delta Wing Apex Vortex at High Reynolds Numbers. CFD Letters 11(3), pp. 92-102. Iddir B, Ridha D. Experimental Validation of Pressure Distribution Prediction under Delta Wing Apex Vortex at High Reynolds Numbers. CFD Letters. 2019;11(3): 92-102. AbstractThe objective of the present work is to enhance the heat transfer rate in an automotive radiator by using the shape memory alloy as an active louvered fin. This study presents fruitful details of the numerical study which were obtained by solving the twodimensional Navier-Stokes equations by using ANSYS Fluent 14.0. A two-dimensional model was constructed and a standard k-epsilon model was used for the turbulence modelling. Nine heat exchangers differing in values of the fin pitch, louver angle and louver walls temperature were simulated by using a commercial CFD code ANSYS FLUENT 14 to find the best angles of the louvered fins. The obtained results were validated against experimental data which was in a reasonable agreement taking into account the computational limitations. The results indicated that the optimum angle for louver fins is independent of louver walls temperature, while it depends on the fin pitch and Reynolds number. For fin pitch of 1.65 mm, the optimum angle is 40o and for fin pitch of 2.02 mm and 3.25 mm the optimum angle is 27o. Therefore, the application of the shape memory alloy is not required to enhance the heat transfer rate in an automotive radiator. Khobib Abdelhafeiz, Mohamed et al. "Numerical Investigation of Possibility of using Shape Memory Alloy in Louvered Fins Radiators." CFD Letters 11.3 (2019): 103-116. Khobib Abdelhafeiz, M., Obai, Y., & Ahmed Kadhim, H.(2019). Numerical Investigation of Possibility of using Shape Memory Alloy in Louvered Fins Radiators. CFD Letters, 11(3), 103-116. Khobib Abdelhafeiz Mohamed, Obai Younis, and Ahmed Kadhim Hussein. "Numerical Investigation of Possibility of using Shape Memory Alloy in Louvered Fins Radiators." CFD Letters." 11, no. 3 (2019): 103-116. Khobib Abdelhafeiz, M., Obai, Y., Ahmed Kadhim, H., 2019. Numerical Investigation of Possibility of using Shape Memory Alloy in Louvered Fins Radiators. CFD Letters 11(3), pp. 103-116. Khobib Abdelhafeiz M, Obai Y, Ahmed Kadhim H. Numerical Investigation of Possibility of using Shape Memory Alloy in Louvered Fins Radiators. CFD Letters. 2019;11(3): 103-116. AbstractThe interaction between hulls, their position and shape and the length of the side hulls of a multihull affect the amount of wave resistance. This paper presents computation based on Michell’s theory on the various configurations of pentamaran and correlates with towing test data that involves interference flow around the component hulls. The pentamaran hull form was featuring a warped chine for the main hull recommended by Savitsky and V model for outriggers. Analysis of both transversal and divergent waves was performed to assess the magnitude of wave resistance that occurs due to the placement of the side hull to the main hull. Furthermore, investigations on far-field wave pattern, wave interference, wave resistance as well as total resistance have been conducted. Changing of the side hull on clearance strongly affects the resistance characteristics than stagger. Configuring the pentamaran so that the main hull is placed at the centreline of each of the front-side hull approximately 15°-18°could be an effective manner to reduce resistance. In general, all of the resistance components results showed that Michell’s theory agree with the test, particularly at Fn greater than 0.5, in which possible viscous factors were still influential at low speed where the theoretical prediction could not be potentially valuable. Wiwin, Sulistyawati et al. "Research on Pentamaran by Model Test and Theoretical Approach based On Michell’s Integral." CFD Letters 11.3 (2019): 117-128. Wiwin, S., Yanuar, & Agus, S. P.(2019). Research on Pentamaran by Model Test and Theoretical Approach based on Michell’s Integral. CFD Letters, 11(3), 117-128. Wiwin Sulistyawati, Yanuar, and Agus Sunjarianto Pamitran. "Research on Pentamaran by Model Test and Theoretical Approach based on Michell’s Integral." CFD Letters." 11, no. 3 (2019): 117-128. Wiwin, S., Yanuar, Agus, S.P., 2019. Research on Pentamaran by Model Test and Theoretical Approach based on Michell’s Integral. CFD Letters 11(3), pp. 117-128. Wiwin S, Yanuar, Agus SP. Research on Pentamaran by Model Test and Theoretical Approach based on Michell’s Integral. CFD Letters. 2019;11(3): 117-128. AbstractThis research work is about numerical simulation and experimental study of the effect of varying sinusoidal bumps (or tubercles) height at the leading edge of the airfoil on efficiency using NASA LS (1)-0413 cross-section profiles. Spalart Allmaras turbulence model was used for numerical solutions. The parameters investigated include, lift, and drag, the angle of attack and bumps height at very low Reynolds number of 4.9 x 104. The results show that bumps on the blade leading edge have an advantage at post-stall angles of attack on the performance and varies with bumps height. Bashir Isyaku, Kunya et al. "Experimental and Numerical Study of the Effect of Varying Sinusoidal Bumps Height at the Leading Edge of the NASA LS (1)-0413 Airfoil at Low Reynolds Number." CFD Letters 11.3 (2019): 129-144. Bashir Isyaku, K., Clement, O. F., Gyang, Y. P., Fatai, O. A., & Nura Muaz, M.(2019). Experimental and Numerical Study of the Effect of Varying Sinusoidal Bumps Height at the Leading Edge of the NASA LS (1)-0413 Airfoil at Low Reynolds Number. CFD Letters, 11(3), 129-144. Bashir Isyaku Kunya, Clement O. Folayan, Gyang Yakubu Pam, Fatai Olukayode Anafi, and Nura Muaz Muhammad. "Experimental and Numerical Study of the Effect of Varying Sinusoidal Bumps Height at the Leading Edge of the NASA LS (1)-0413 Airfoil at Low Reynolds Number." CFD Letters." 11, no. 3 (2019): 129-144. Bashir Isyaku, K., Clement, O.F., Gyang, Y. P., Fatai, O.A., Nura Muaz, M., 2019. Experimental and Numerical Study of the Effect of Varying Sinusoidal Bumps Height at the Leading Edge of the NASA LS (1)-0413 Airfoil at Low Reynolds Number. CFD Letters 11(3), pp. 129-144. Bashir Isyaku K, Clement OF, Gyang YP, Fatai OA, Nura Muaz M. Experimental and Numerical Study of the Effect of Varying Sinusoidal Bumps Height at the Leading Edge of the NASA LS (1)-0413 Airfoil at Low Reynolds Number. CFD Letters. 2019;11(3): 129-144. AbstractCylindrical structures are widely used especially in engineering field. The cylindrical structure produces large drag force due to pressure difference between upstream and downstream direction of the flow. The objective of this study is to fabricate cylindrical model that have 3 different surface characteristics which is smooth surface and outward dimple surface with covered half and full of cylinder surface. The second objective is to determine the drag and lift coefficient of a cylinder for all types of surface. Third objective is to visualize the flow separation of the cylinder for all surface. The experiment is tested in wind tunnel at various speed for lift and drag coefficient from 5.2 m/s to 30.5 m/s. For flow visualization test, the smoke test has been used at constant speed 3.5 m/s. The acting force on the cylinder that have been determined is coefficient of lift CL and coefficient of drag CD. The results are compared with the types of cylinder surface. The result gained showed that the smooth cylinder produce large drag coefficient compared to the dimple cylinder and this results are also agreed with the flow separation test which is the dimple cylinder are resulting in delayed flow separation point. Muhammad Arif, Dandan, et al. "Evaluation of Lift and Drag Force of Outward Dimple Cylinder Using Wind Tunnel." CFD Letters 11.3 (2019): 145-153. Muhammad Arif, D., Syahrullail, S., Mohamad Nor, M., & Fazila, M. Z.(2019). Evaluation of Lift and Drag Force of Outward Dimple Cylinder Using Wind Tunnel. CFD Letters, 11(3), 145-153. Muhammad Arif Dandan, Syahrullail Samion, Mohamad Nor Musa, and Fazila M. Zawawi. "Evaluation of Lift and Drag Force of Outward Dimple Cylinder Using Wind Tunnel." CFD Letters." 11, no. 3 (2019): 145-153. Muhammad Arif, D., Syahrullail, S., Mohamad Nor, M., and Fazila, M.Z., 2019. Evaluation of Lift and Drag Force of Outward Dimple Cylinder Using Wind Tunnel. CFD Letters 11(3), pp. 145-153. Muhammad Arif D, Syahrullail S, Mohamad Nor M, Fazila MZ. Evaluation of Lift and Drag Force of Outward Dimple Cylinder Using Wind Tunnel. CFD Letters. 2019;11(3): 145-153. Opinions, notes and critical views written by eminent international figures and experts in CFD, mainly upon invitation by the Editor-in-Chief or one of the editorial board members of the journal. Short communications describe, analyze and evaluate new CFD concepts, theories, methodologies, or modifications of existing methodologies. Articles of reduced length, describing in-depth qualitative results obtained from a recent research with an emphasis on the interface between methods and applications. Papers submitted to the special issues announced by CFD Letters should be assigned to this section.